Babysitting Safety training is an important class for young people that are interested in babysitting. Whether for family and friends, or as an income-producing business. Our Child and Babysitting Safety training equips students with the knowledge, skills and confidence to care for infants or school age children. The comprehensive safe sitter class teaches students how to respond to emergencies and illness with first aid skills, rescue breathing and other appropriate care. 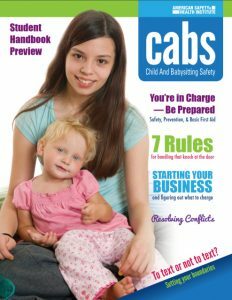 We teach our students tips for babysitting as a business, communicating with prospective parents, and emergency contact information worksheets. We target 11-16 year olds for our Child and Babysitting Safety course. We provide attendees with the knowledge, skills and confidence to care for children and babies. 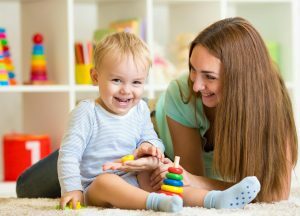 Generally, our topics are: diaper changing, safety on the job, problem solving for common babysitting issues, safe play, and feeding. Likewise, basic first aid, conscious choking skills, and the business of babysitting. Finally, students earn a Babysitting Safety Training certification (2-year) card upon successful completion. We teach Basic CPR skills to all students. We also offer optional ($20 fee) adult, child, and infant CPR certification card for those that desire it. Course fee for Child and Babysitting Safety course is $50 (in 2019 – $55). Optional CPR certification for $20 more (in 2019 – $25 more). Register for all Newnan CPR courses at our schedule. Finally, any other questions, please contact us. Most parents like the confidence that their babysitter has been trained in emergencies, basic first aid and breathing difficulties. They also appreciate that they have practical tips on safe play, feeding, and communicating with parents. It’s pretty stressful when parents trust their child to another person. This babysitting safety training helps ensure their kids are with a safe sitter. Babysitting is more than “watching the kids”. It also means being responsible for their safety and well being. Most of all, with Child and Babysitting Safety (CABS) training, we stress the priority to keep you and the children you care for safe!